I was invited to speak at the Google Fiber event at the Google Office in Kansas City today. The event was organized by my friend Mike Searle and Google. 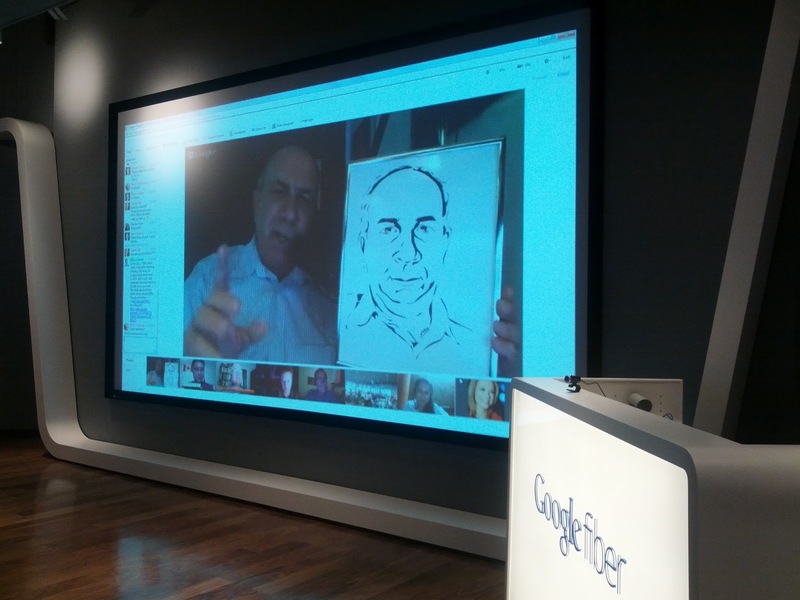 I had the opportunity share the story of how Mike and I meet and the illustration he did of me. I also spoke about my involvement as co-founder of Virtual Photo Walks and how we “walk the the walk for those who can’t”.